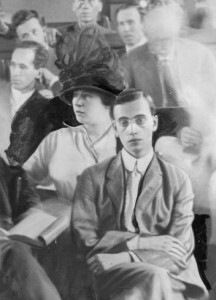 Leo Frank and his wife Lucille in the court room for his murder trial, Georgia, 1913. Local identification number: AJCP402-102e, Atlanta Journal-Constitution Photographic Archives. Special Collections and Archives, Georgia State University Library. The Digital Library of Georgia is pleased to announce a new online exhibition titled Tragedy in the New South: The Murder of Mary Phagan and the Lynching of Leo Frank that is now available through the Digital Public Library of America (DPLA). The link to the exhibit is http://dp.la/exhibitions/exhibits/show/leo-frank. On April 26, 1913, Confederate Memorial Day, thirteen-year-old Mary Phagan was murdered at the National Pencil Company in Atlanta, Georgia. Leo Frank, the Jewish, New York-raised superintendent of the National Pencil Company, was charged with the crime. At the same time, Atlanta’s economy was transforming from rural and agrarian to urban and industrial. Resources for investing in new industry came from Northern states, as did most industrial leaders, like Leo Frank. Many of the workers in these new industrial facilities were children, like Mary Phagan. Over the next two years, Leo Frank’s legal case became a national story with a highly publicized, controversial trial and lengthy appeal process that profoundly affected Jewish communities in Georgia and the South, and impacted the careers of lawyers, politicians, and publishers. By the early twentieth century, Jewish communities had become well-established in most major Southern cities, continuing a path of migration that began during colonial times. The Leo Frank case and its aftermath revealed lingering regional hostilities from the Civil War and Reconstruction, intensified existing racial and cultural inequalities (particularly anti-Semitism), embodied socioeconomic problems (such as child labor), and exposed the brutality of lynching in the South. This exhibit is a collaboration between DLG and DPLA staff. 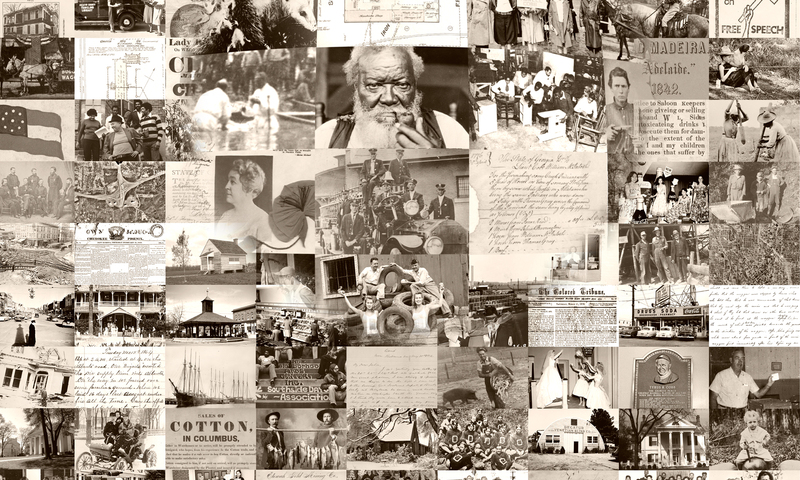 DPLA exhibitions cover major themes and events in American history and culture, and are widely used in education. Exhibits are comprised of items curated from collections made available by DPLA content partners. The incorporation of these shared materials ensures broader discoverability of these resources. Tragedy in the New South: The Murder of Mary Phagan and the Lynching of Leo Frank makes use of photographs, newspaper articles, broadsides, illustrations, letters, and other unique items to illustrate key themes, which include the setting of Atlanta in 1913, the murder of Mary Phagan, Leo Frank’s legal battle, Frank’s lynching, regional and national reactions to the lynching, and the legacy of the Frank case. We hope that you take the time to look through this new exhibition.